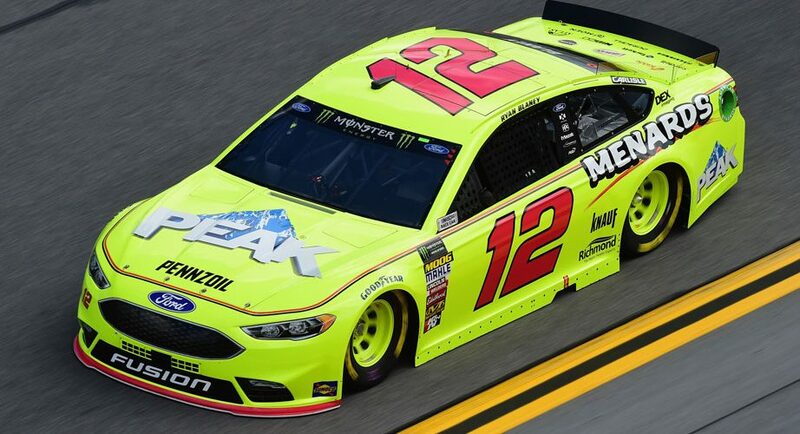 Ryan Blaney topped the leaderboard in Daytona International Speedway’s opening weekend practice for The Clash on Saturday, rounding the track at 199.601 mph in the No. 12 Team Penske Ford. Three more Fords recorded top speeds in the practice, with Joey Logano clocking in at 199.543 mph in the No. 22 Team Penske Ford, Ricky Stenhouse Jr. logging a lap in 199.508 mph in the No. 17 Roush Fenway Racing Ford, and Brad Keselowski recording a speed of 199.490 mph in the No. 2 Team Penske Ford. Kyle Larson rounded out the top five in the No. 42 Chip Ganassi Racing Chevrolet at 199.468 mph. The qualifying draw takes place Saturday evening, and competitors for The Clash will be back on the track for the 75-lap, 187.5-mile race Sunday at 3 p.m. ET (FS1).